Last year, many of you were asking for smaller quantities of our Grassfed Beef. You want to be able to stock up but just don't need a full quarter of beef. 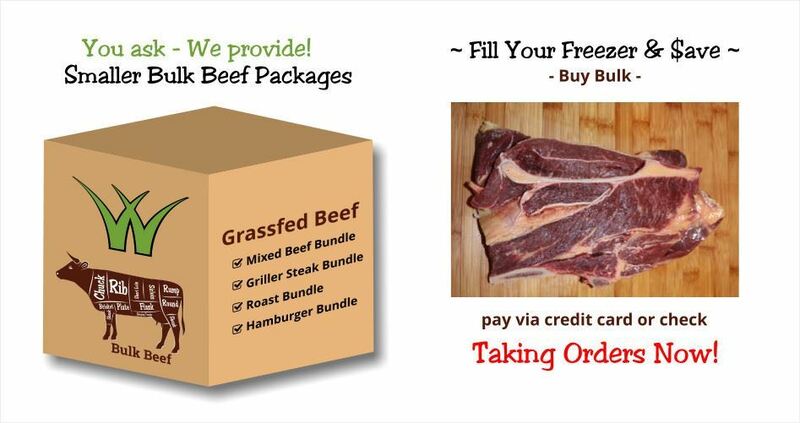 So this year we are taking the time to put together 4 different bundle options that will fit in any home freezer. Here's what we got!